Marc-Antoine Charpentier composed his grand polyphonic motet Te Deum (H. 146) in D major probably between 1688 and 1698, during his stay at the Jesuit Church of Saint-Louis in Paris, where he held the position of musical director. The work is written for the group of soloists, choir, and instrumental accompaniment. Charpentier authored six Te Deum settings, although only four of them have survived. It is thought that the composition have been performed to mark the victory celebrations and the Battle of Steinkirk in August, 1692. 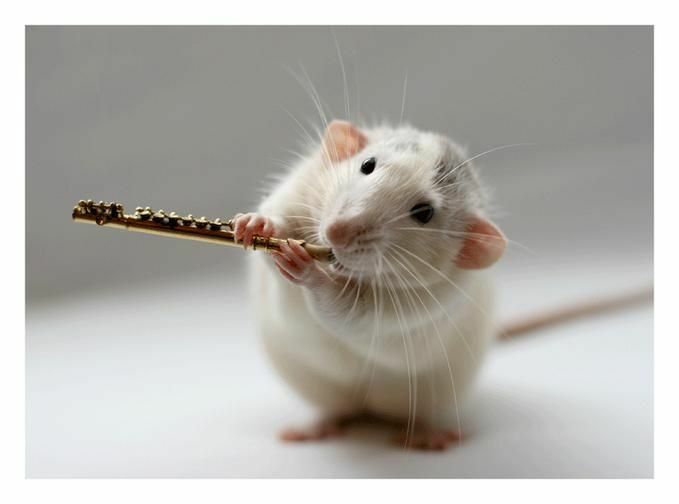 The instrumental introduction, composed in the form of rondo, precedes the first verset, led by the bass soloist. The choir and other soloists join gradually. Charpentier apparently intended to orchestrate the work according to the traditional exegesis of the Latin text. 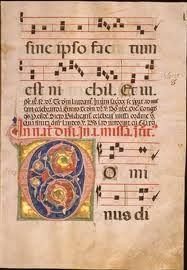 The choir thus predominates in the first part (verset 1-10, praise of God, heavenly dimension), and individual soloists in the second part (verset 10-20, Christological section, secular dimension). In subsequent versets, nos. 21-25, both soloists and choir alternate, and the final verset is a large-scale fugue written for choir, with a short trio for soloists in the middle. 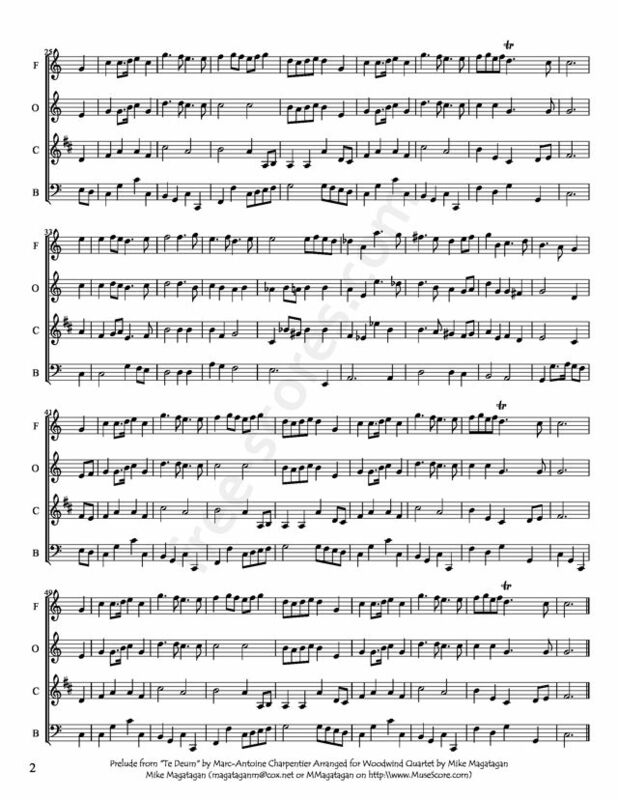 The work was originally composed for eight soloists and choir, accompanied with the instrumental ensemble of one violin, two violas, double bass violon, flute, oboe, and bassoon. The continuo part would have been performed by organ, and was supported by a viola da gamba. 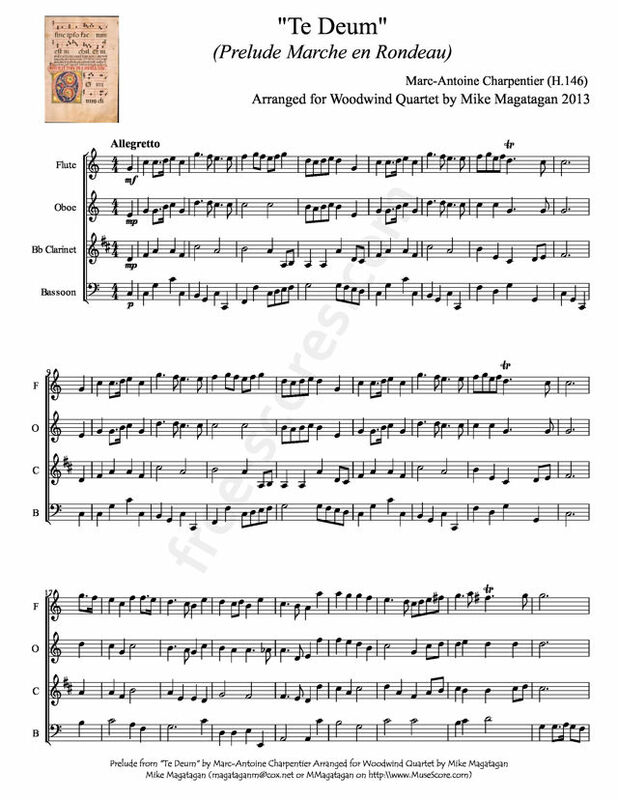 I created this arrangement for Woodwind Quartet (Flute, Oboe, Bb Clarinet and Bassoon).